You are here: Home / Weekly Columns / Opinion / Reversal Edge in Soulcalibur 6 Is More Important Than You Think. Reversal Edge in Soulcalibur 6 Is More Important Than You Think. 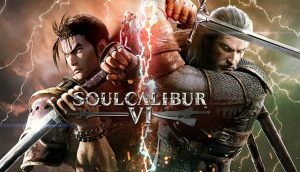 (ThyBlackMan.com) Soulcalibur 6 is now available on consoles and PC, and the game is excellent for many reasons. For newcomers and long-time franchise fans, Soulcalibur 6 is a treat and the in-game mechanics are absolutely incredible. Bandai Namco has introduced a new mechanic called the Reversal Edge. If you have already played the game, you are probably familiar with the controls. Reversal edge in Soulcalibur 6 allows players to defend themselves in a better way. During an attack, players can quickly do a Reversal Edge and strike back by choosing any of the available attack options. The new mechanic introduces a slow-motion effect and gives players some extra time to decide how they can respond to an attack. If you are on Xbox One, you can perform this move by using RB, and on PS4, you can do a Reversal Edge with the R1 button. It works pretty well and can be used at any time. Just make sure that when you perform this action, you and your opponent will have to select a move out of the eight available options to gain an advantage over the opponent. Guard: Guard is the best way to defend because you can use it against all types of attacks. While other moves will only give you an advantage against certain types of attacks, Guard is the best choice if you can’t think of anything else. Keep in mind that you only have a few seconds to make a choice. Guard Impact: Guard Impact can be used to defend yourself in almost every situation. This has been a powerful way to knock your opponent and leave them with no choice. Timing plays an important role here because you can’t use this move whenever you want. Make sure performing an attack when the opponent is about to land a strike. Horizontal Attack: It wins against kick but fails to protect you from all the vertical attacks including advancing evade. You can use it to beat kick and other horizontal attacks. Vertical Attack: This one will help you defend against vertical attacks, but don’t use it against a side step or other horizontal attacks otherwise you will fail. Crouch: Hold down the guard button and tap down to make your character crouch. This movement allows you to stay safe against Guard Impact. Never use it when an opponent is landing a kick or vertical attack because if you do so, it won’t help and you’ll become more open to a counter attack. Side Step: Use it against vertical attacks because it works like a charm in that kind of situations. But if your opponent is hell-bent on using kick and horizontal attacks, don’t perform this move as it will be counterproductive. Kick: A kick can work pretty well against vertical attacks so make sure using it whenever you get an opportunity. Remember the timing and then perform your attack. Kick is not a wise move against horizontal attacks, and you should also not use it against a kick. Back Step: Not a very strong move, but it can help you against vertical attacks. Performing this move against kicks and horizontal attacks is a bad idea. In fact, it is better if you choose some other move if you want to defend yourself from a vertical attack because the back step is not always as effective as it looks. Why Reversal Edge in Soulcalibur 6 is important because players get many benefits by using it. When you hit an enemy using Reversal Edge, you can expect a significant meter boost. If you have played the game, you probably know that meter boosts can help you with your skill level. Some of the very close enemy encounters can be won just by using Reversal Edge in Soulcalibur 6 because it gives you some time to think and decide, especially when you are rushing to beat the enemy and most of the attacks you perform are failing.